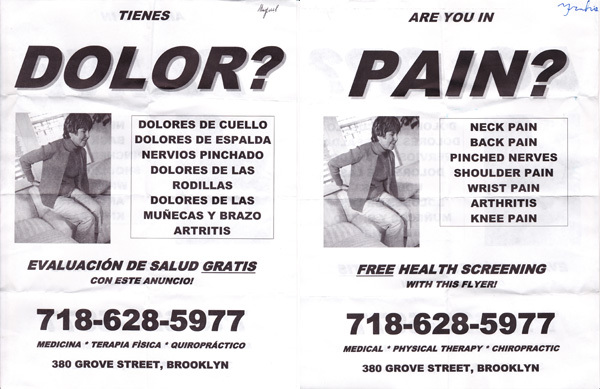 To help me make a couple extra bucks, my buddy Miguel sometimes gets me a day of work handing out flyers for this quack chiropractor we know out in Bushwick, Brooklyn. The chiropractor, who we'll call Dr. Duck for the purposes of this "article", is the most paranoid person I've ever met. I tried to snap a picture of him, but he forced me to erase it. 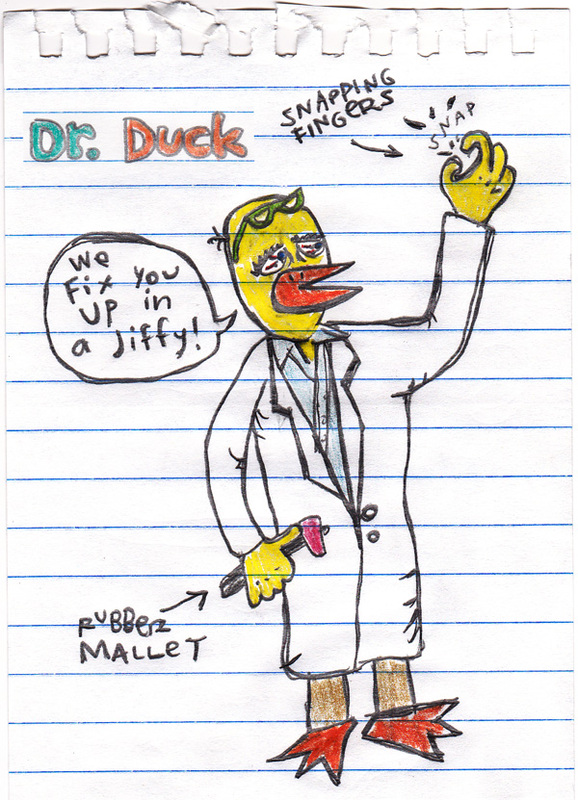 He falls somewhere between a 2-bit drug-lord and an over-enthusiastic uncle. This isn't to say he isn't nice, in fact he's a regular charmer. 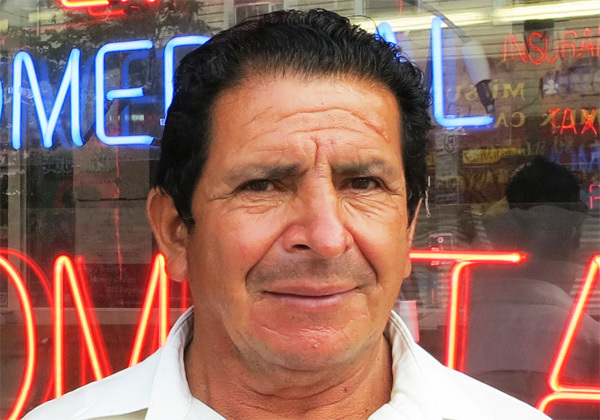 He always makes café con leche when we visit and he gives out lollipops like they're candy. He's just not a doctor. We have to sign each flyer we give out so they know who's the best flyer-giver-outer. Loose wording. It's like, "If you need some MEDICAL, come see me!" But this doesn't mean that Miguel isn't the best guy ever. Just look at him! Worry-lines aside, Miguel is a riot! 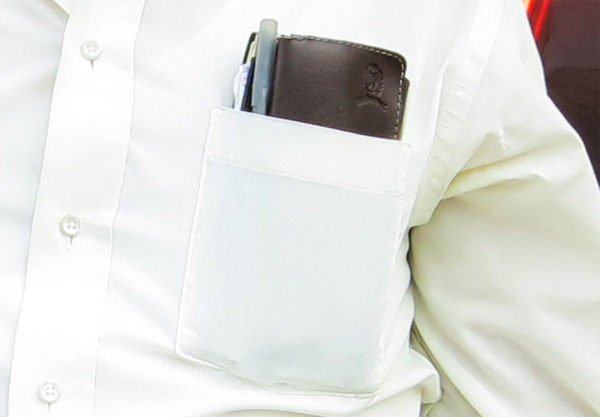 Older guys just know how to rock the pocket on a button-down shirt. Old man slip-on skippies. Spicoli had nothing on this. 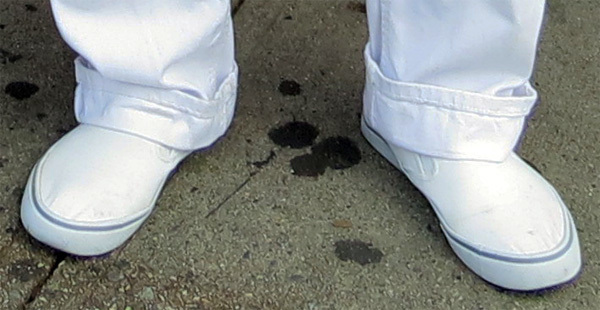 2-inch cuffs on white Levi's twills. 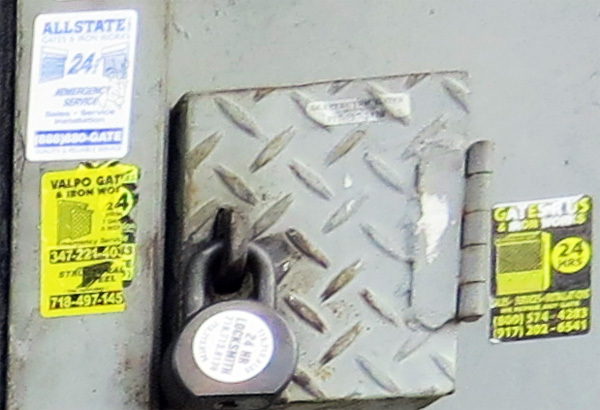 End Note: I'm gonna start collecting photos and peel-offs of old locksmith stickers.